Ann is the successful boutique owner of Ever After Boutique in South Dakota. One of her most successfully selling items had been a jacket that she and her clients loved a TON. In fact, she would have to place reorder after reorder in large quantities. Unfortunately, the brand that produced the Jacket went bankrupt, leaving Ann without her best-selling product. Even though Ann had never studied fashion design and had no private label manufacturing experience, she decided that if she couldn’t buy and sell that jacket anymore, then she would create a better one herself. She got in touch with MakersValley, who gave her the tools to become a fashion designer without a degree. We connected her with our independent network of Italian manufacturers and artisans, and got her started making her dream private label jacket a reality. In 2002, Ann founded the Ann’s Hair & Nails salon. Eventually, the salon evolved into a boutique when in 2011, Ann started to add jewelry and purse collections to her service offerings. Overtime, the business had grown into a full-scale boutique offering a personal head-to-toe experience in shopping, hair, and nails. Ann discovered MakersValley after hearing Ashley Alderson, CEO of Boutique Hub, talk about the benefits of MakersValley on a boutique owner community video training. The Boutique Hub is a platform that connects communities of boutique owners, brands, designers, and influencers to allow them to collaborate, learn, and find the tools and resources they need to grow their business. Ann contacted MakersValley in January 2017, discussed her idea with us and explained what she wanted to do, and how it had been her dream to become a fashion designer without a degree. MakersValley was happy to help her and connect her to our network of 200+ Italian manufacturers & artisans who could help her pursue her dream of manufacturing her perfect Made in Italy jacket. Studying Fashion Design: Do You Really Need To? Ann was ready to leap right in. She shipped her jacket reference sample to our MakersValley Italy office and selected the MV Essentials membership plan ($49/month). 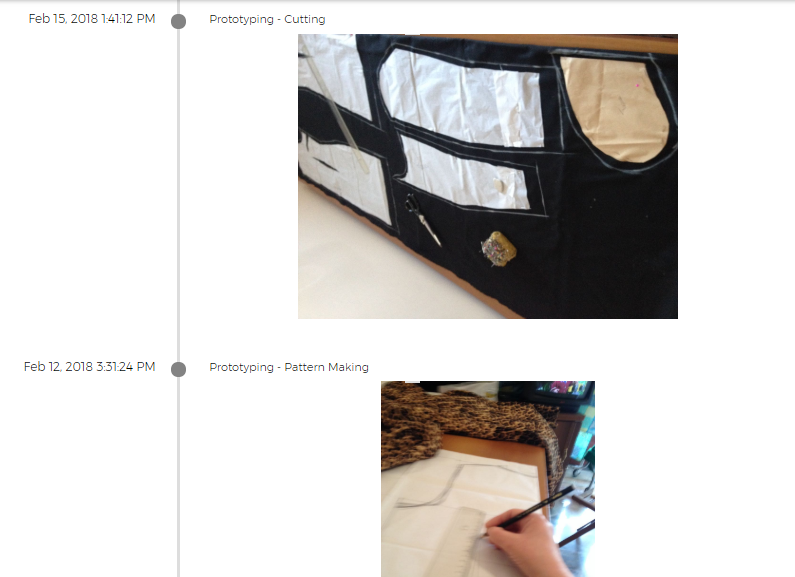 Next, she uploaded all the specs about the private label jacket the she wanted to create. In just 10 working days, Ann received 3 bids directly from Italian manufacturers who wanted to help her create her first jacket sample. After carefully looking at the bids and the factory catalogs to understand each factory’s strengths, she selected the best bid for her needs and was matched with that manufacturer. The MakersValley team delivered Ann’s reference garment to the selected jacket manufacturer, who immediately started the sampling phase of the project. Over the next three weeks, Ann received live status updates and pictures directly from the factory floor where her sample was being made. Her Italian manufacturer used the MakersValley Platform to keep her updated on the prototyping process in Italy first-hand. The factory finalized her jacket sample in just 3 weeks, and the MakersValley team performed a quality check on the product to make sure it matched Ann's specifications. Before long, the sample and the fabric swatch book shipped to Ann’s boutique in South Dakota. 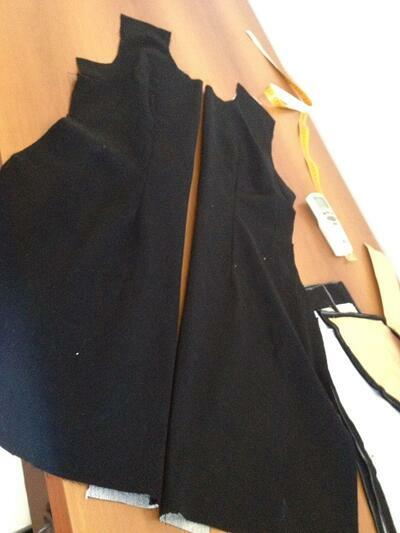 In 5 days, Ann received her Italian sample garment. She was over the moon about the stitching done by the Italian artisan on her Perfect Jacket. Now, she’s getting pre-orders from her customers, and is ready to place a small batch production order of her very own brand and design. Ann has become a fashion designer without a degree and can now sell her Perfect Jacket to everyone! 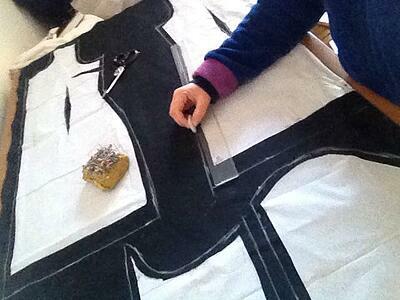 Do you want to become a fashion designer, even without a degree? A lot of people do! Reach out to us and tell us about your project so we can help you get started. Trouble in the Clothing Supply Chain Traditional wholesale manufacturing poses certain challenges for fashion designers and boutique owners. Wholesale manufacturers can change their prices on boutiques suddenly, resell original designs to other boutique owners for less, or shutter their doors altogether, leaving you and your customers at a loss for your favorite products.